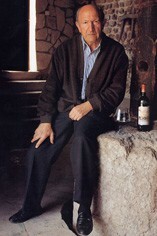 Alejandro Fernandez established Pesquera Bodega in Ribera del Duero in 1972 and has been hugely influential in the resurgence of this important wine-producing region. Without any formal enological education or training, he started his bodega as a second career and, against all odds, won international acclaim. By the early 1980s, Pesquera had forced the official Spanish wine organizations to re-write the rules, and Ribera was granted official D.O. status in 1982. By the late 1980s, the bodega was having a cult following in the United States and gathered much praise from critics, including a feature story in Parker's Wine Spectator. In 2008, Spain's Ribera del Duero region will join the ranks of Rioja and Priorat by receiving an upgraded status to Denominación de Origen Calificada (DOCa). Named after his hometown, Pesquera now has 65 hectares of vineyards superbly sited on well-drained south-facing gravel banks. The region's high altitude (2,000 to 2,500 feet above sea level) and continental climate are major quality factors. Hot days drive the grapes' sugar content up, while cold nights maintain acidity high, resulting in concentrated, fleshy wines. Vine diseases and rain at harvest are rare in this extreme continental climate, a fact that allows Fernandez to harvests slowly and late, to achieve optimum ripeness and balance. The wines are made from 100% Tinto Fino (Tempranillo) grapes. In traditional Rioja winemaking, Tempranillo has become known for its elegance, while in Ribera del Duero, and particularly in Pesquera wines, it stands for deep colours, lush, ripe fruit flavours and power, with plenty of smoky oak influence. Long macerations (up to 26 days) increase extraction of colour and tannin. The Crianza wines are matured in a mixture of French and American oak barrels for 20-24 months, while the Reservas and Gran Reservas spend a minimum of 30 months in small oak barriques. The wines are bottled unfined and unfiltered. Success continues for Fernandez with a second property in his Ribera del Duero portfolio; Condado de Haza has 200ha of Tempranillo vines planted in 1989. Since 1995 it became a complete and self-sufficient winery encompassing the whole winemaking process from the vine to the bottle.